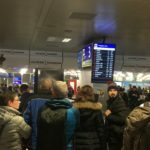 "security were openly rude and careless"
✅ Trip Verified | Although it's a small airport, there is a selection of food and drinks available, as well as shopping and a nice outside seating area. 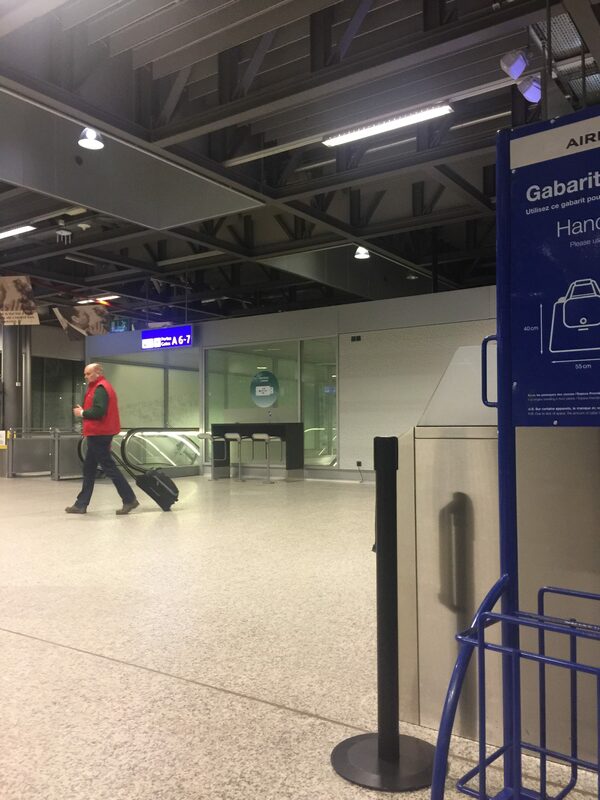 I find the airport easily accessible by public transport and you can get a free ticket to town when arriving to Geneva airport which is not so common in other places. Although security check and passport control are extremely overcrowded, it's understandable with smaller airports. Unfortunately I had a negative experience with the staff at the security check. Although I live in the UK so I'm used to immaculate customer service, I am also from an Eastern European country where people are more direct, so I'm used to both cultures. Staff at the security check were openly rude and careless, and this shocked me as I haven't expected this treatment at all and it leaves a bitter aftertaste no matter how amazing my stay was in Geneva. 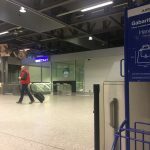 "where to smoke at Geneva airport"
❎ Not Verified | Having not found a recent review of where to smoke at Geneva airport, I thought I’d write one. You can smoke outside the airport. If you are using terminal 2, a free bus will take you between terminals 1 and 2 every 10 mins. Journey time is about 5 mins. The Smoking Lounge in Geneva airport is located in terminal 1 departures / airside upstairs and is free, clean and well sign posted. 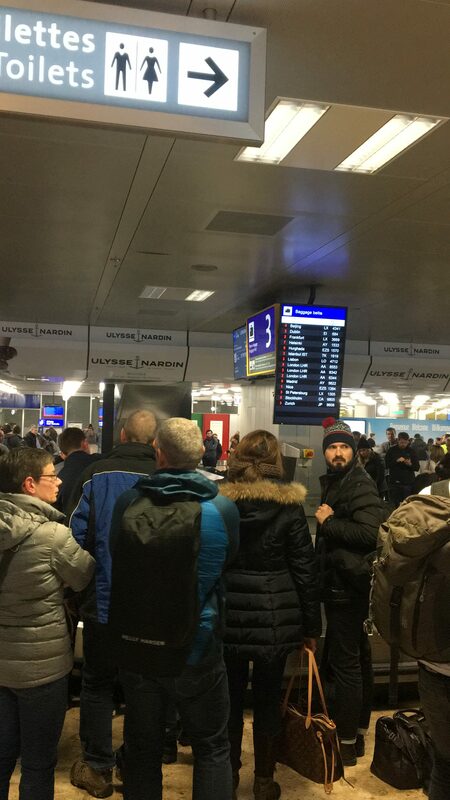 "I will avoid Geneva Airport"
✅ Trip Verified | Geneva Airport is the worst organized airport I´ve ever visited and I´ve been visting 50+ airports. Maybe the situation was extraordinary worse since it was Easter time but even though we were checked in online and arrived to the airport 2,5 hours before departure time we missed our flight and had to buy new flight tickets, book hotel and take a train for 4 hours to reach our destination, 24 hours later than expected. We had been skiing and the only thing we needed to do at Geneva Airport was to drop off our skis. In order to do so we were told to go to the same line as all other persons who were not checked in. There were only 3 counters open and the staff seemed very inexperienced, constantly calling for advice/instructions. Even though we told them we were going to miss our flight they didn´t pay attention which resulted in that several families missed the flight even though we were checked in. Even the line to the security control was extremely long due to that the airport is not customized for the number of passengers departing. I will avoid Geneva Airport for all future if possible. ❎ Not Verified | Why have all flights in terminal 2 in the same queue? It’s just stupid to have them all in one line. I could go on and on about the negatives but here are a few. Only 3 security checkpoints. Doors on bus are both on same side. Only one door opens anyway. ❎ Not Verified | Zero seating available anywhere. I had to sit on the floor prior to boarding a long haul flight to NZ. Only 2 cafes which were disguistingly over crowded with no infrastructure to them. It was stiflingly hot at check in and security. Even though they have clearly improved this airport since I last flew here it is clear more needs to be done. To put in some seating somewhere would be a good start! ✅ Trip Verified | Hi, I arrived with my daughter on crutches and a brace on her knee. I was so impressed with the SwissAir check in guy who was very helpful and organised a wheelchair. When we picked up the wheelchair the guy guided us through security to the meeting point. He was friendly, interested in our welfare and very helpful. He, in particular, deserves great credit for how he was doing his job. A big thank you from us - well done! ❎ Not Verified | I thought being Swiss it would be efficient and quick. Far from it. It is small, crowded, badly organized. 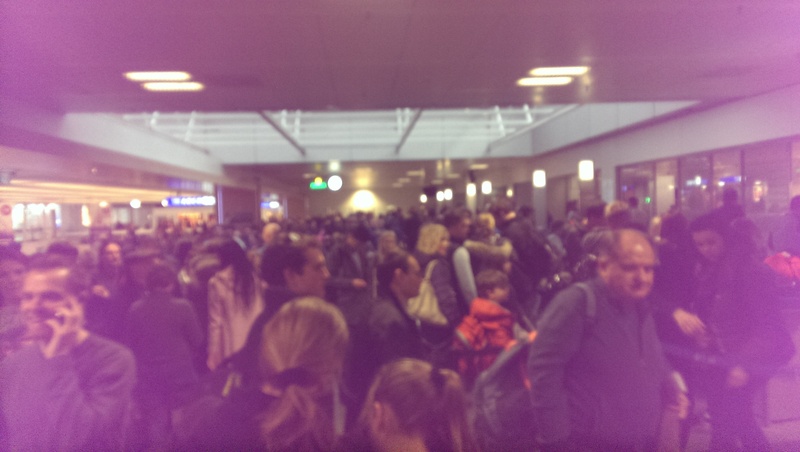 So many people around us stuck in bottlenecks ( passport control / check-in etc) worried about missing their flights. Luckily our flight was delayed otherwise we may have missed ours. "There is always something wrong"
✅ Trip Verified | There is always something wrong - usually customer service related. Airport often puts its own interests well beyond those of the customers it is supposed to serve. Recent example being made to get on a bus to the plane and then having to wait on the bus for 20 mins - but it was all okay because airport staff got to go home 20 mins earlier. Well done, you work in one of the worst airports in the world. "no thought given at all to comfort"
❎ Not Verified | A swear word would not do this airport justice. For one of the more affluent countries, this airport paints a very different picture. Dreadful terminals, everything overpriced, no thought given at all to comfort, staff that could not care less, baggage that you can watch being thrown out of the holds, and if you are lucky you might even get a bad tempered member of staff to swear at you. If you like 1970's architecture it is a dream. A miserable experience, choose another European hub to travel from. ❎ Not Verified | Inefficient and slow. Security was slow and staff unfriendly. Information desk staff unfriendly and uncaring. No reasonably priced restaurants. Not enough seating areas. 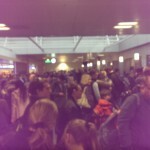 Layout causes congestion when trying to move between gates. Unnecessary gate changes. The worst airport experience I have ever had, would give 0/10 if possible.